C is for Craft, LLC is a craft studio in downtown Palo Alto were children and their parent(s)/caregivers can drop-in for open-ended art explorations. Experienced art educators are always on hand to teach a class, lead a workshop, or offer assistance during a drop-in visit. We also offer some adult craft studio sessions and group events. If you have a craft group that needs a little encouragement, send us a message and we’ll design something fun for your group. Fill out the Inquiry Form on the “Contact Us” page, or send us an email at fun@cisforcraft.com. C is for Craft, LLC, also offers retail items, including prepackaged craft kits, imaginative books, unique art supplies and creative games. C is for Craft, LLC is closing the studio location in Downtown Palo Alto, CA on September 30, 2014. There will be no further bookings of parties other than those already booked. We want to say thank you for your business. It has been a pleasure creating this unique shop in Palo Alto for children to learn and explore. We will still exist online as a place to order craft kits for block parties, church groups, and other kid group events. Please look at our retail website in the upcoming months for more information about our unique online store. 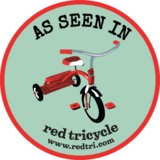 C is for Craft was a top finalist in Red Tricycle's 2013 Totally Awesome Awards in their Most Awesome Art Classes for Kids category. P.S. 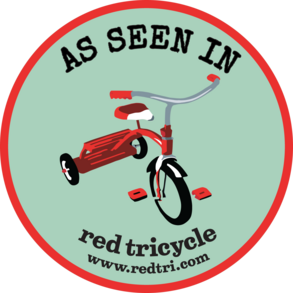 Did you know that we were featured in Red Tricycle? Check out the awesome coverage here.